OnePlus always strives to deliver quick updates for their smartphones to the latest Android version. 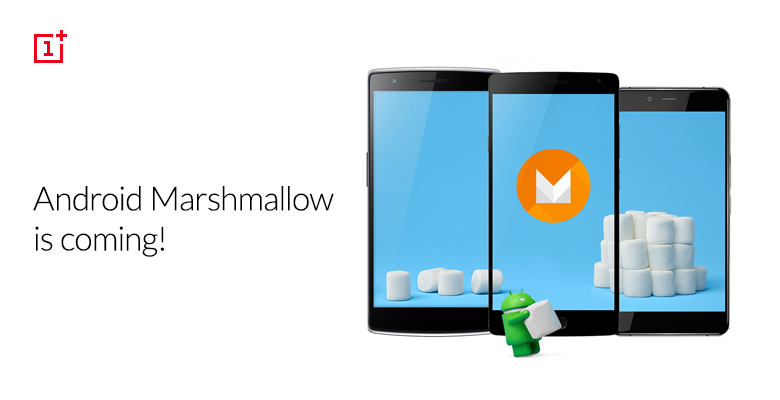 In the case of Android 6.0 Marshmallow, they have kept mum until now. OnePlus has just announced their plans to bring Marshmallow to their devices. The OnePlus One and the OnePlus 2 are on track to receive the update in Q1 2016 although a more specific date hasn’t been revealed yet. This could mean anytime from Jan 1st to March 31st but we hope that they would introduce it sooner rather than later. The OnePlus One doesn’t ship with Oxygen OS by default so the company has said that it will work on the community build when time permits. Additionally, they also stated that the Marshmallow update for the OnePlus 2 will include the standard Marshmallow fingerprint sensor API. They also revealed that they are working on the update to Marshmallow for the OnePlus X but they haven’t revealed a time frame as of now but we are guessing that it would be only after the OnePlus One and OnePlus 2 receive their updates first.